They might look superhuman on the cobbled climbs, but pro riders admit that the Flanders hills are brutal and have insight on which ones make or break the race. 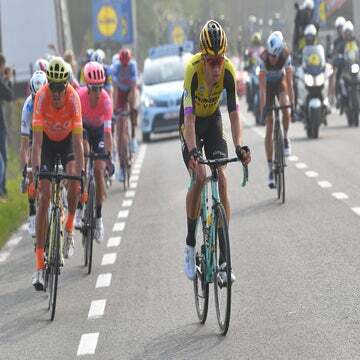 GENT, Belgium (VN) — Sunday’s Tour of Flanders will again send the world’s best classics riders on a 266-kilometer trek from Antwerp to Oudenaarde. 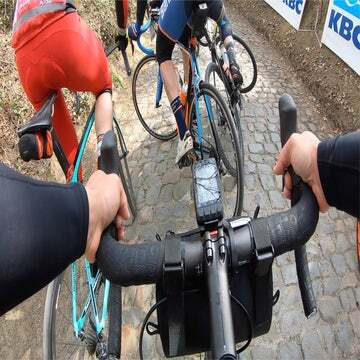 Along the journey, the peloton will tackle Flanders’ 17 helligen, including the infamous cobblestone climbs Koppenberg, Oude Kwaremont, and Paterberg. All of these bergs dish up leg-cracking pain. And before the riders even reach these climbs, a chaotic battle always ensues within the crowded peloton as the riders jostle for the best position. Which berg hurts the worst? Which features the most aggressive fight for position? Which one most regularly decides the race? Again, journalists like me can be armchair quarterbacks when debating the merits of the Tour of Flanders’s 17 climbs. But the riders know best. One climb is the steepest and the other is the longest. Both the Koppenberg (22% maximum, 600 meters) and the Oude Kwaremont (11.6% maximum, 2,200 meters) received a plethora of nods when I asked riders which climb is the hardest. A distant third place was the Taaienberg (15.8% maximum, 530 meters). It’s understandable why riders would choose the Koppenberg, which is so steep that riders must push maximum watts just to make it to the summit. And the road is unquestionably narrow, which causes frequent bottlenecks. Every year, TV cameras catch dramatic images of those unlucky riders who are stopped behind a traffic jam, unclip, and walk to the top. “It’s really steep, and if it’s a little bit wet it is the hardest to make it to the top,” said Dylan van Baarle (Sky). The challenge of the Kwaremont comes with the pacing. At 2,200 meters it is the longest, and the climb is split into two halves, with a long false flat section of cobblestones coming at the top. That long and painful flat section is where three-time winner Fabian Cancellara often accelerated away from his foes, who had tired themselves out by pushing too hard on the climb’s steep midpoint. Plus, the riders tackle the Oude Kwaremont three times. You can’t win Flanders at the foot of a berg, but you can definitely lose it. That’s why a brutal and chaotic fight ensues in the kilometers before each climb, as riders jostle for a front position. Riders said that one moment specifically creates the most aggressive and chaotic battle for position: the kilometers before the second ascent of the Oude Kwaremont. The fight comes 214 kilometers into the race. Indeed, the riders come off of the Kanarieberg and embark on a frantic downhill fight before taking a sharp right-hand turn onto a road that is barely wider than a typical American bike path. 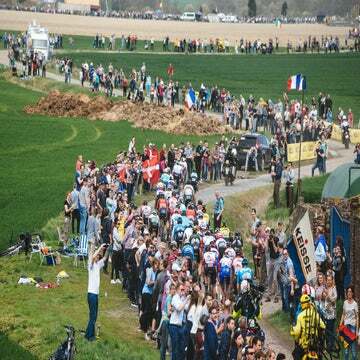 The peloton then makes another right-hander onto the Oude Kwaremont, which has historically been a launchpad for the first of the race’s final decisive moves. Good positioning at the base of the Kwaremont can advance a rider to the next section of the race. Bad positioning, by contrast, can doom a rider’s overall chances. Which hill decides the race? Cancellara went on the Kwaremont. Sagan went on the Paterberg. Philippe Gilbert went on the Muur van Geraarsbergen, but his long-range attack is an outlier from the Flanders norm. Most riders told us that the most decisive climb of the Tour of Flanders is either the Oude Kwaremont or the Paterberg, due to each climb’s position near the end of the race. The final ascent of the Oude Kwaremont comes with 19 kilometers remaining in the race, and the Paterberg follows shortly thereafter with 13.5 kilometers. Riders are fatigued, both physically and mentally. These two climbs are often when tactics and strategy give way to guts, riders said. The climbs of Flanders present a serious challenge to all riders, even seasoned pros. And since they are of varying lengths and steepnesses, these climbs present a different challenge for all of the riders in the bunch. When asked which climb the riders dread the most, they gave me a variety of answers. Some riders simply shook their heads at this question and proceeded to name multiple climbs. Often, they said, it’s the scenario on the road that dictates whether a rider anticipates, or dreads, a coming climb. Mads Pedersen (Trek-Segafredo) put it succinctly.